J.R. Blood of Destrehan scored 13 points in a win over John Ehret. While Destrehan has struggled to get its team to full health, the Wildcats find themselves in good position with the opening of district play around the corner. While the 8-6 mark against a good slate of competition is a positive mark, those injuries have forced the Wildcats to make adjustments. Three players have missed time with ankle ailments, while two others just returned from the flu. In a Dec. 12 win over John Ehret, Destrehan earned a 12-point win despite having just six players available to take the court. Zalvin Michael scored 20 points, Lucky Maxon 15 and J.R. Blood 13 in the win. Freddie Brown, Devin Edwards and Jalvin Michael each scored five. One game Bourg said he wishes his team could have a do-over on is a 70-61 overtime loss to Warren Easton last week. The Wildcats turned the ball over 25 times and missed seven of their 15 free throw attempts in the fourth quarter. Maxon scored a team-high 34 points against Easton. Blood added 11 and Brown 9. One thing the rash of injuries has affected is increased court time for several of the team’s second team players. One who has caught Bourg’s eye is freshman guard Tyler Martin, who he believes has a bright future with the Wildcats. After a four-point loss at Salmen, Destrehan bounced back with a decisive victory over Chalmette, 59-30. The Salmen loss was the first of what’s become an annual two-game home and home series between the teams. The tradition is inspired by Bourg’s friendship with Salmen coach Jay Carlin, who coached the former in high school. The two have scheduled games with one another dating back to Bourg’s days coaching South Lafourche. 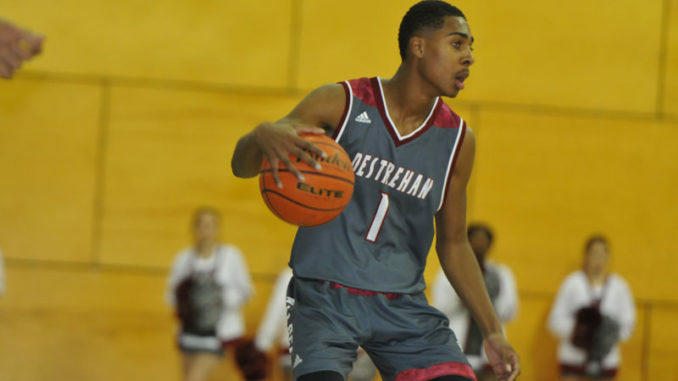 Maxon scored 15 and Blood and Jalvin Michael each scored 12 for Destrehan against Salmen. In the win over Chalmette, Zalvin Michael scored 21 to lead DHS. Jalvin Michael added 13. 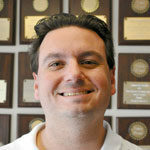 After a break, Destrehan next turns its attention to the Grace King tournament, which runs Dec. 27-29. The Wildcats will match up with KIPP Renaissance and Booker T. Washington and may see district foe East St. John in bracket play.